Key areas to focus on this Gemini Super Moon are communication and the 2nd chakra: primarily communication with your self and this part of your body. What’s suppressed here, what wants healing, awareness, love, embodiment, expression, creation in your body / your life? The 2nd Chakra is home of our self identity. It’s also where for some reason some of us learned not to feel safe with who we were or who we wanted to be … for most women, it’s where we disconnected from our bodies or shut down our Feminine Power. It’s where we learned to turn ourselves into two people: the woman the world wanted us to be VS the woman we really were, intrinsically. This Gemini Super Moon gives us the ability to get really real with our relationship with ourselves: primarily who we've been and who we are ready to become. Full Moons are times of illumination, and as we see reflected in the world around us, these are extremely revealing times. This moon is probably going to heighten that. A key element of the 2nd chakra is NURTURANCE: especially learning how to give ourselves the nurturance that we might not have received from others. So many of us who are numbed out or shut down from our bodies come to rely on touch, nurturance or care from others, and so there is this constant internal void or feelings of shame or trauma if the need for nurturance was (or continues to be) delivered in an abusive, shameful or neglectful way. This Moon wants you to get REAL with your RELATIONSHIP WITH YOURSELF AND YOUR BODY and your needs for nurturance. Nurturance isn’t just about base level health or functioning. Nurturance is what you need to thrive. Nurturance is what you need to come alive. Nurturance is what you need to learn how to give yourself over and over and over again in order to EMBODY your truest feminine power (and to learn how to continue to embody that power as you continue to transform and evolve). The 2nd Chakra is home to our womb and so when I talk about Feminine Power this moon, I’m being literal. The Sanskrit word Yoni literally means power. Yoni Shakti means POWER SOURCE. Your Yoni and the Shakti energy generated here are the source of your power. If you identify as a woman, it’s the place where this identity is born (and no, you don’t have to be born with a yoni to experience it, but those who are have an amplified ability to access this Feminine Power). A foundational element of healthy sensuality and sexuality is not only experienced through healing what’s previously held you back from nurturing the embodiment of a healthy 2nd Chakra (healing or releasing any shame, trauma, shut down) but also, most basically what's keeping you from currently having a healthy relationship with this part of your body. If we dive deeper into Gemini, the theme of this sign is EXPRESSION. In Tantra, the ability to healthily and authentically express oneself is a hallmark of the 5th Chakra, which is directly connected to the 2nd Chakra. As we see with so many courageously coming forward with their stories of #metoo and bringing sexual harassers and abusers to justice: a key way to take away someone's voice is to strip them of their sexual sovereignty. This is what we call "Body Mapping" and why a healthy relationship with your yoni / womb / moon cycle / feminine power is much more than just physical: the health, confidence, embodiment and expression of your 2nd Chakra (self identity) has a direct effect on your 5th Chakra (self expression). A lot of women who are ready to rise want to jump ahead to healing their sexuality, without realizing how much memory and power our 2nd Charkas hold. The reason a lot of women miss this is because of a lack of NURTURANCE we received towards being simply female as we were growing up. We were taught that being pretty was what mattered to ignore or feel shame for the fact that we bled, and through thousands of years of cultural conditioning, had our bodies turned against us. Our greatest powers (healthy sexuality and the ability to bleed / create life) were turned against us and taken away. There is a deep, deep, DEEP reclaiming of this 2nd and 5th Chakra power happening on the planet right now which is what we see being revealed in the collective roar rising from the suppressed and wounded Feminine. But what so many women are still oblivious to or are just now realizing (and no judgement, it took me a very long time to realize it too, which is part of why I'm so passionate about helping women reclaim their bodies in this way) is what a huge role their menstrual cycles play in sensual confidence + healthy sexual expression throughout the month and therefore throughout their lives. Again, the reason so many women miss this is because of a lack of NURTURANCE. emotional and physical nourishment and care given to someone. So many of us never learned to give ourselves what we need and so instead of owning our cyclical, physical, sensual, emotional, sexual, psychological, spiritual needs ... we learned to dismiss or ignore them (and so sadly, this is so unconscious for most of us that we don’t even realize we do it). This monthly cycle gives you the ability to practice navigating your internal terrain and external circumstances while staying connected to your body and the source of your Feminine Power, without blindly throwing it away throughout the month. Embodiment, nurturance and expression creates the PHYSICAL FOUNDATION of a healthy 2nd Chakra. A healthy relationship with your cycle sets the stage for a healthy relationship with your body. A healthy relationship with your body sets the stage for a healthy relationship with your sexuality. A healthy relationship with your sexuality sets the stage for a healthy relationship with your expression. A healthy relationship with your expression sets the stage for a healthy relationship with your SELF. 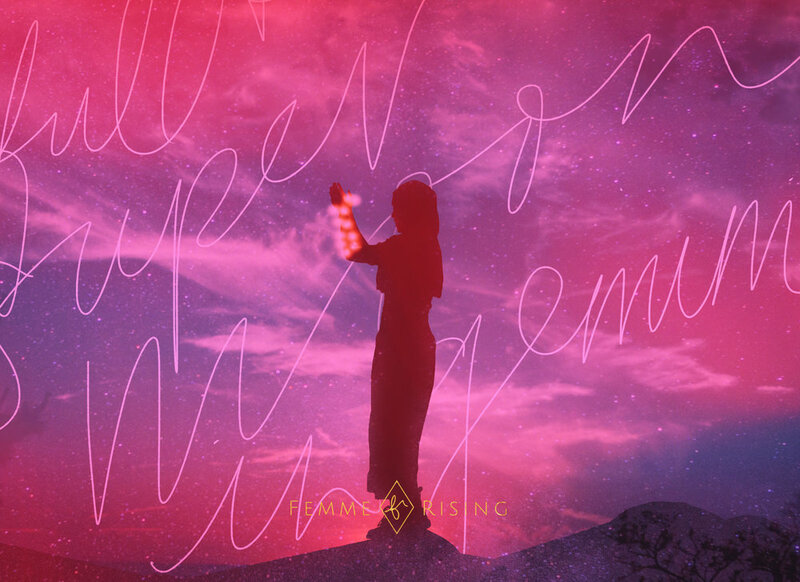 The Feminine is Rising, we see it in ourselves and we see it in the mainstream and this moon is your mirror to determine where your Feminine Embodiment work continues, deepens or begins. Where are you at with your body? Where are you at with your cycle? Where are you at with honoring your feminine needs? Where are you with the role your cycle plays in your life? What are your menstrual symptoms trying to tell you? What menstrual products are you using? How do you feel the moment your bleed arrives (annoyed, shameful, inconvenienced, celebratory)? Where are you in deeper need of sexual healing or sensual activation? Where are you in your true self expression? Because Gemini is about communication, be attentive to the quality of your inner dialogue as you explore these themes. What are the stories you’ve been telling yourself, that you’ve been told about yourself from others or that you’re ready to rewrite? What’s holding you back from having a healthy, compassionate, objective self dialogue + what is your body trying to express to you as an ally in the conversation? Use this moon to determine the connection between your feminine reproductive health and your monthly moon cycle, your sexual health and expression + tune into where you need to strengthen your physical feminine foundation. Dial it back. Are there any cracks in your foundation? Where does your 2nd Chakra need nurturance? As an air sign, Gemini rules over the mind, but the magic of this moon isn’t found through the mind, it’s revealed through the body. This means that if we’re ungrounded or obsessive as we attempt to get a clear sense of ourselves, it can leave us feeling spacey or overly emotional, so make sure you ground this moon. Put your feet on the Earth. Get outside. Connect with the physicality of your body. Breathe deeply. As much as you’re able, try to let go of the forced linear or “logical” answers, and practice allowing them to arise from the sensual wisdom of your body. Create space for silence: instead of seeking the answers, create the space for them to arrive. This moon lovingly says, your brain has had the reigns for way too long, so please practice allowing the wisdom arise from your body (aka your womb / 2nd chakra / yoni if you have one). If your body is an uncomfortable place to be, use this moon to sit with and examine that more. Create space and see what arises: your body is always the way in, you’ve just got to get out of your head long enough to begin to learn how to listen to her. For a guided Yoni Shakti meditation on accessing your inner wisdom, join the FB Group HERE. If working with your menstrual cycle speaks to you and you're ready to learn how to nurture yourself throughout the month or how to access the power of your Moon Cycle make sure you’re signed up for the newsletter for a special announcement I have coming soon! FULL MOON RITUAL: Don’t underestimate the power of a long walk connected to the depth of your breath to allow energy or insight land. As you walk ask yourself: what do I need for nurturance? Practice feeling vs thinking. Be here + be real + practice compassion + create space for silence + breathe + let your body lead you. The answers might not come right away. The tools to carry you forward might need time to manifest or present themselves to you. Here in the Northern Hemisphere, we are entering into the depth of the Feminine Darkness, the fertile void where true potential is revealed. Use this time to let yourself be with yourself. Trust that you'll know what you need to know when you're supposed to. PS If you're a Sagittarius (Happy Birthday!) have awareness of the heightened mental energy Gemini brings and let yourself get quiet and get real this weekend. This Moon is likely extra reflective for you as Saturn (the great / annoying cosmic teacher) is also finishing his 3 year transit through Sagittarius right now, asking us what the have the past 3 years revealed. Who have you become? What have you overcome? What’s ready to be expressed, realized, revealed, released? Ashly is the creator of FemmeRising.com which seeks to uplift, inspire and educate women about their body, their sensuality, their femininity, their connection to spirit and to help them reclaim their powerful role as women within society. Ashly is also the founder of HealthySexyHungry.com, where she coaches women on radical self love and guides them towards living a life filled with confidence and desire.